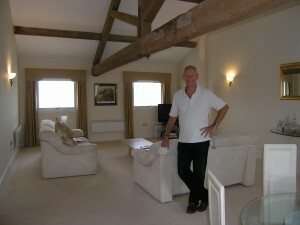 The Oxfordshire letting market is busy and landlords should be making hay while the sun shines. On Sunday 4th July a very important sporting event took place. 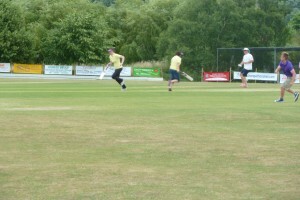 Not the Wimbledon final, but the FK Tapeball Tournament 2010, held at Horspath Cricket Club. 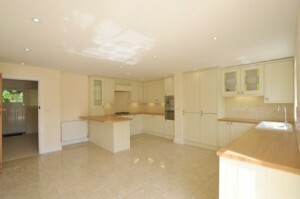 Our Witney office recently helped two tenants to become landlords. Many of you reading this are probably fortunate enough to be linked to Oxfordshire in some way. Two small bits of news caught our eye this morning and together they illustrate the ferocious brains trust which lives inside county lines. 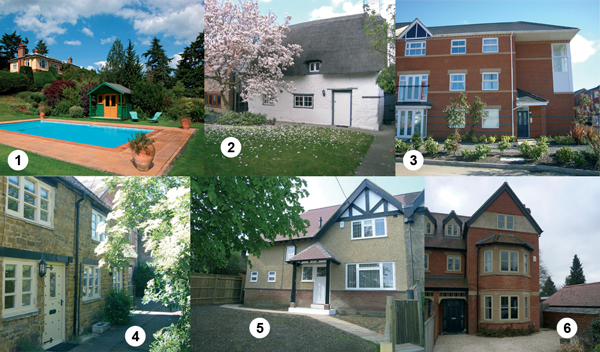 It is easy to forget the strengths of Oxfordshire as a place to both live and invest in. Our landlord in South Africa was delighted to receive confirmation that her insurance company has forwarded money for ‘loss of rent’ and ‘emergency repairs’ following the unfortunate fire at her property. 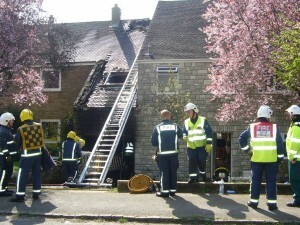 The fire, which rendered the house uninhabitable, was caused by the overheating of the external electric supply with the integral garage and bedroom above taking the brunt of the damage. Oxford letting agents, Finders Keepers, won two awards at this week’s Sunday Times Letting Agency of the Year Awards. 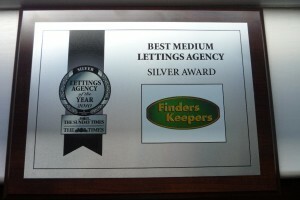 We won silver in both “Best Medium Lettings Agency” and “Best Property Management”.